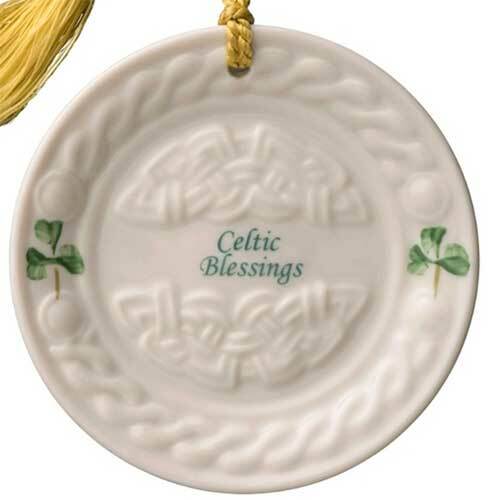 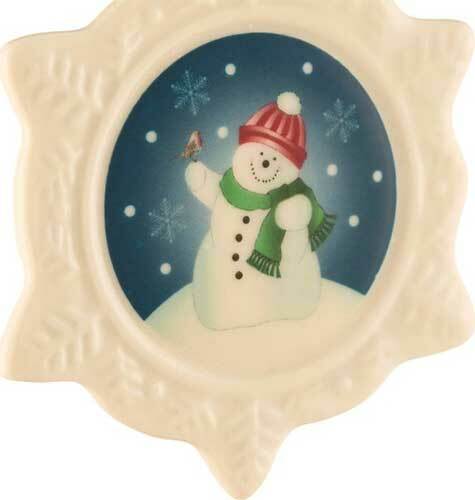 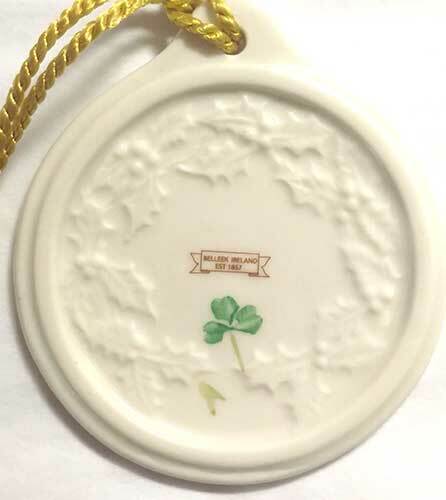 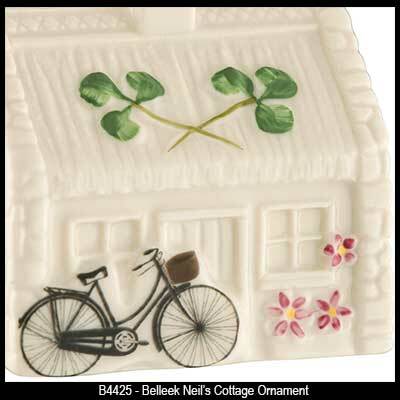 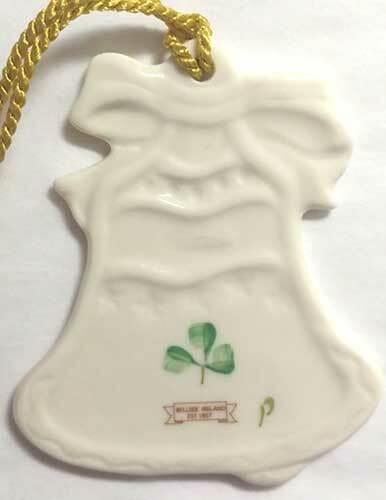 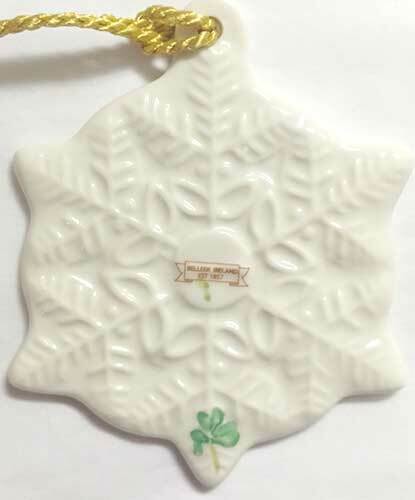 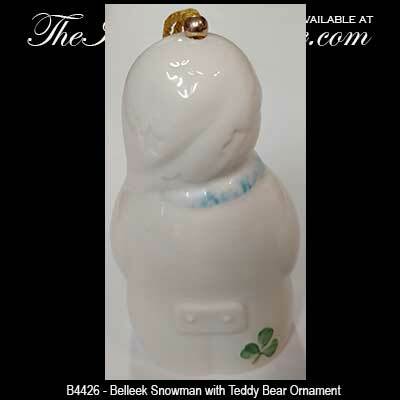 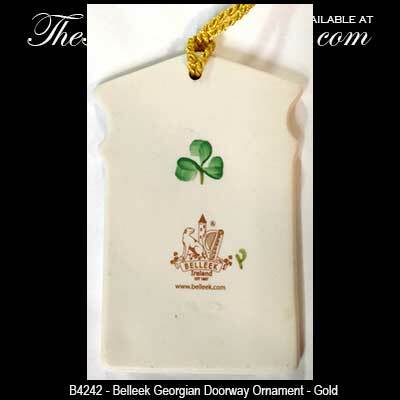 Many of these Belleek ornaments feature the signature hand painted shamrocks. 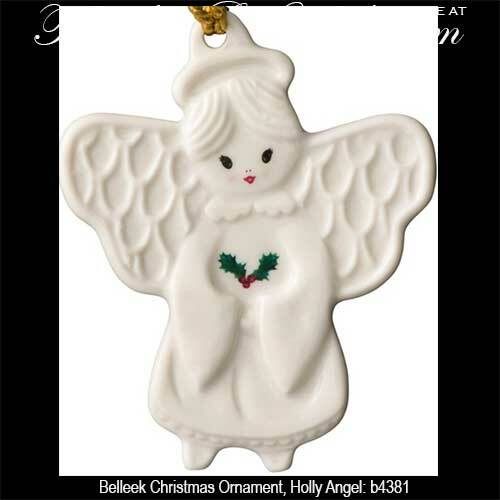 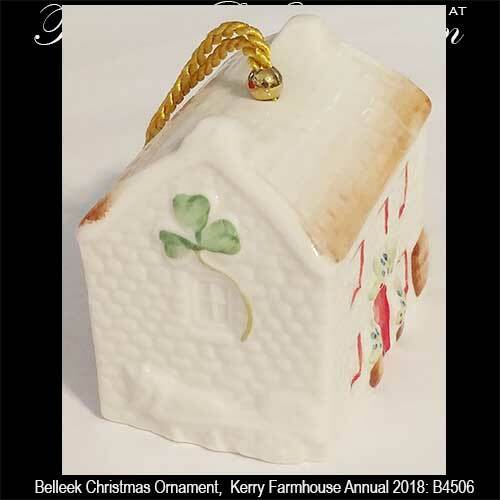 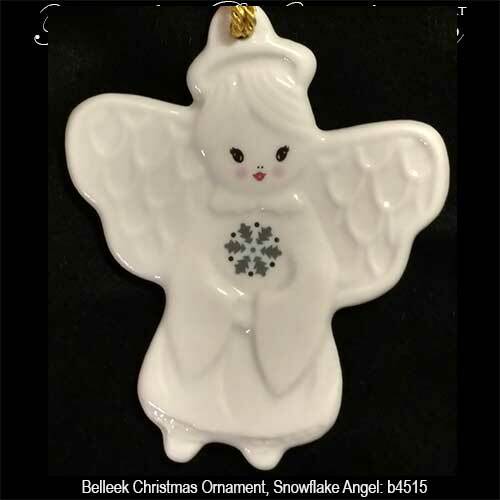 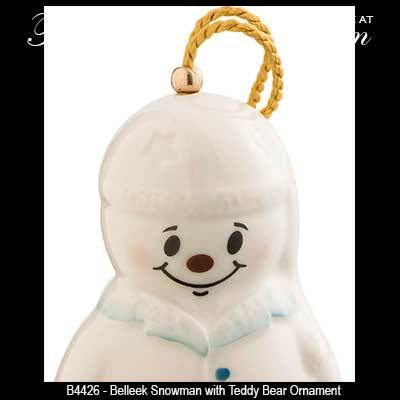 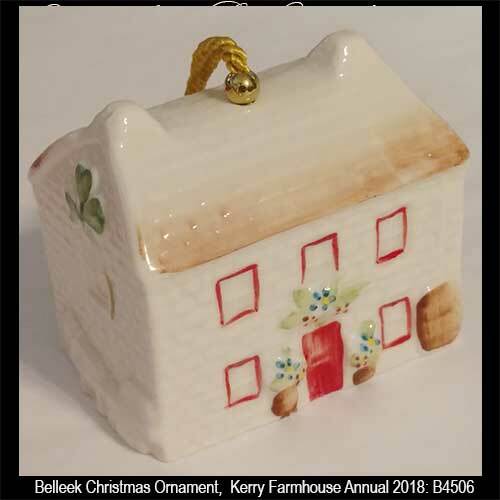 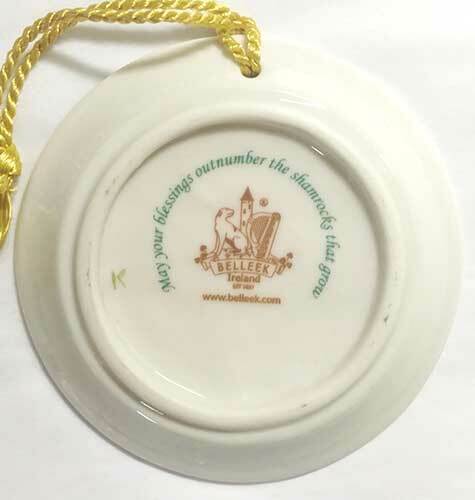 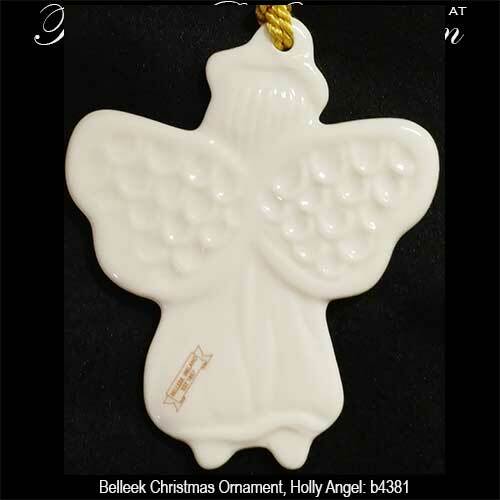 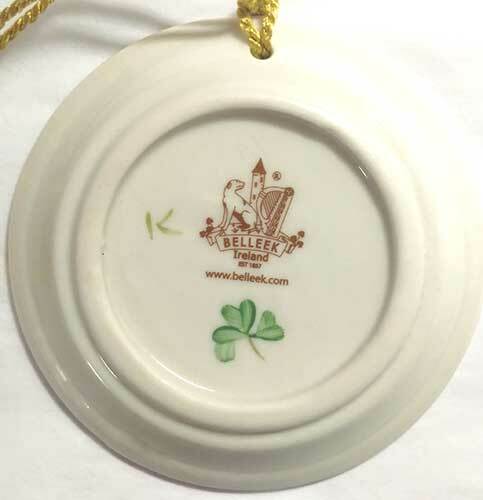 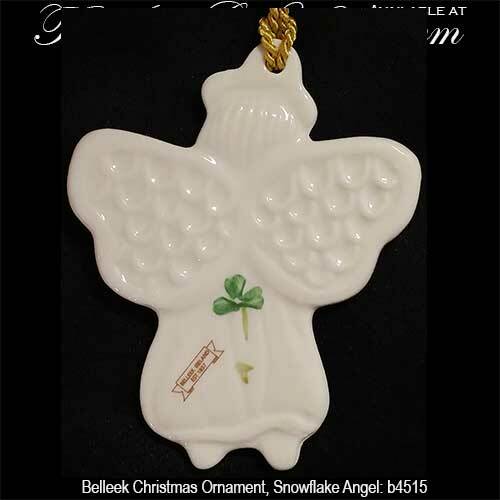 The Belleek Christmas ornaments include many bells and also the annual Belleek ornament that is part of an enduring series. 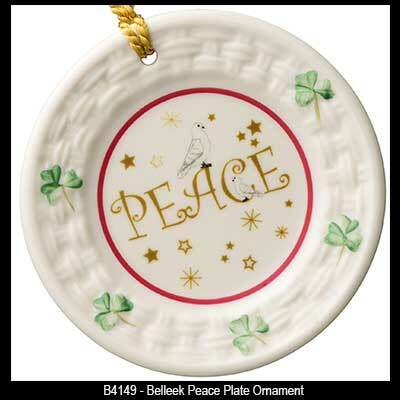 Every piece of Belleek China is hand made in Ireland and the ornaments are no exception. 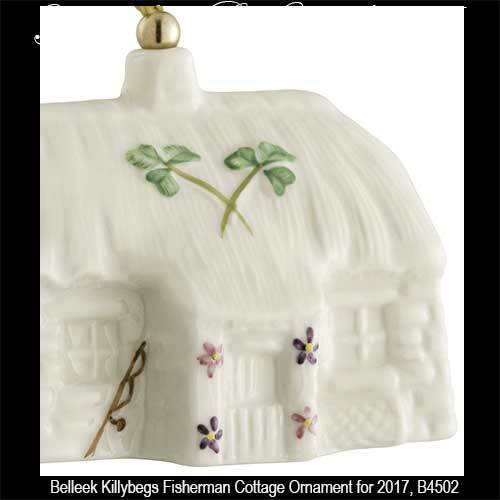 The range includes dimensional designs and bells that permeate throughout Irish culture, its people and the architecture. 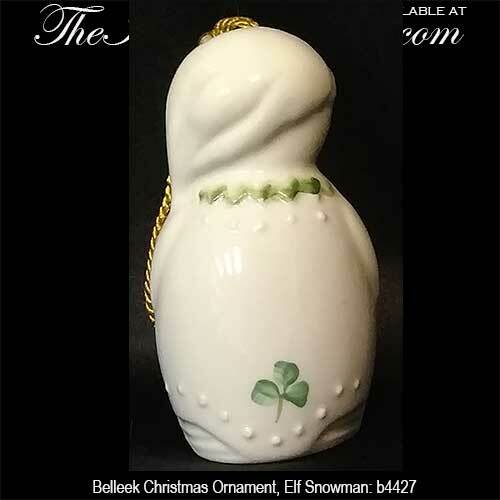 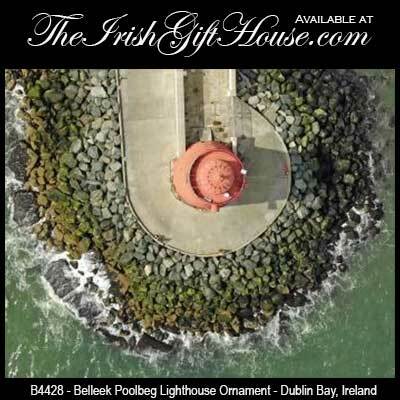 Naturally you will find in the collection the emblematic Claddagh and shamrocks but you will also find Irish ornaments with historic landmarks and buildings. 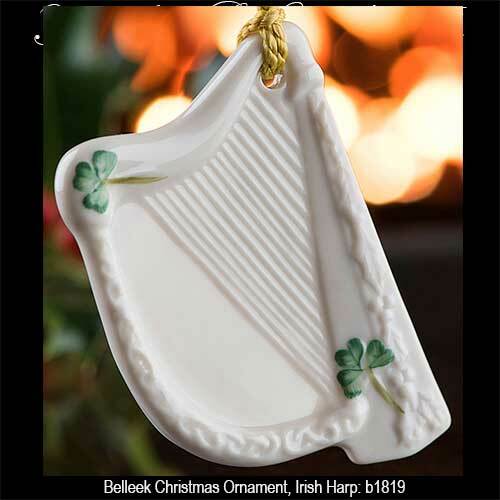 A gift of Belleek is exceptional for any occasion but it is particularly festive at Christmas. 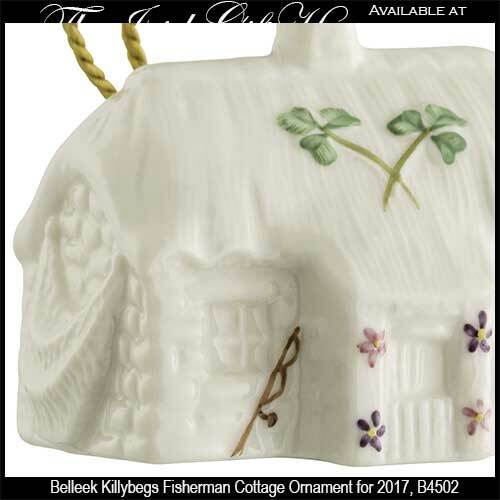 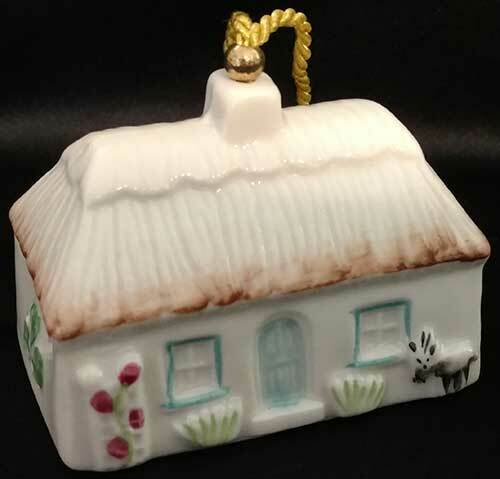 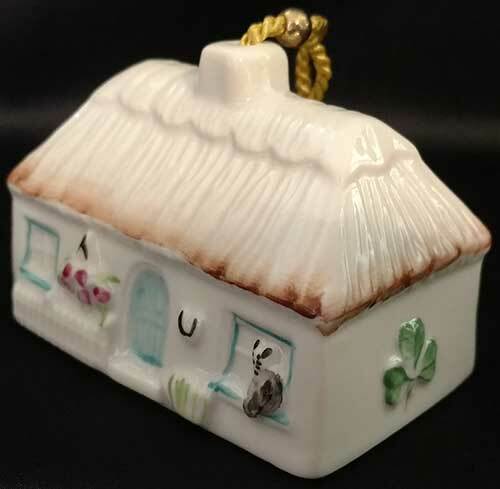 Killybegs Fisherman's Cottage is the 30th annual ornament from Belleek. 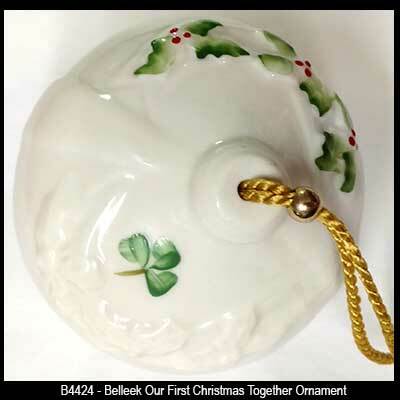 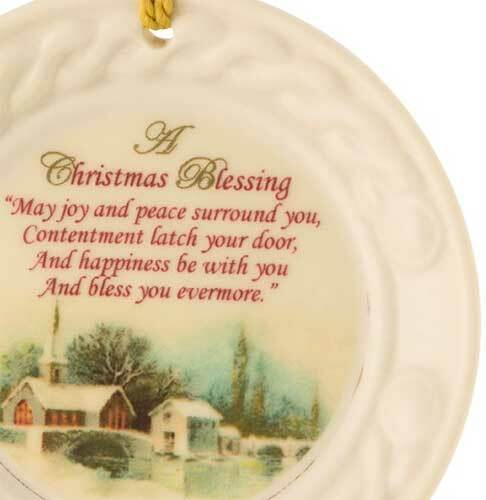 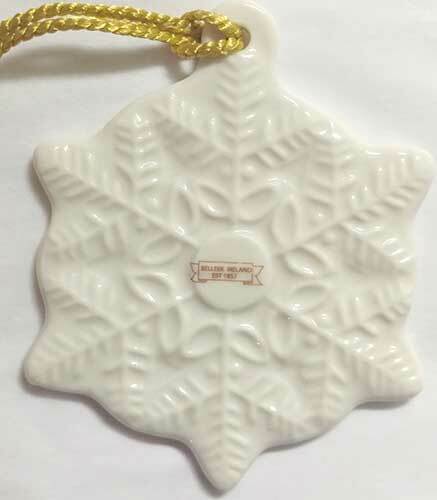 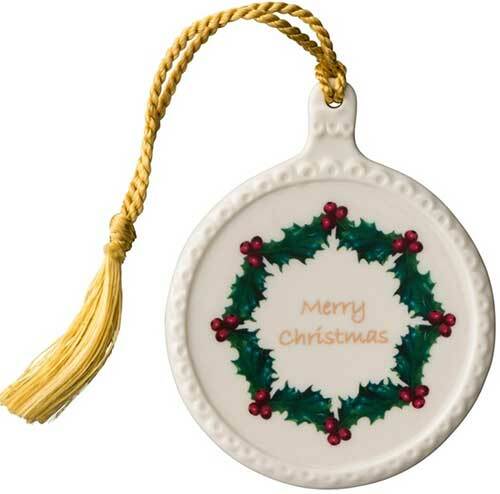 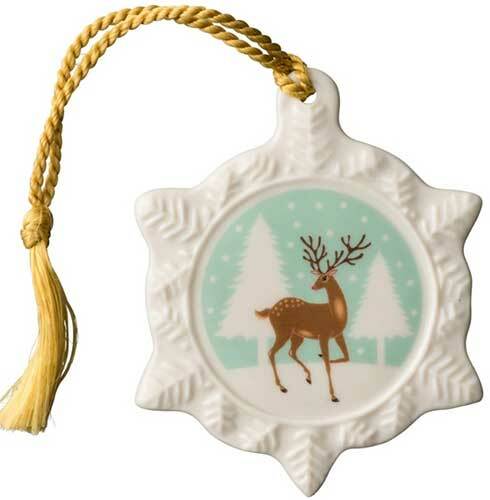 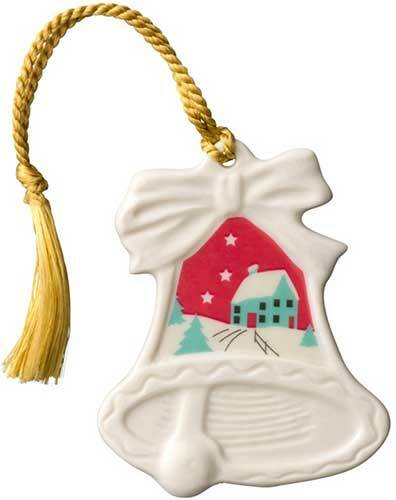 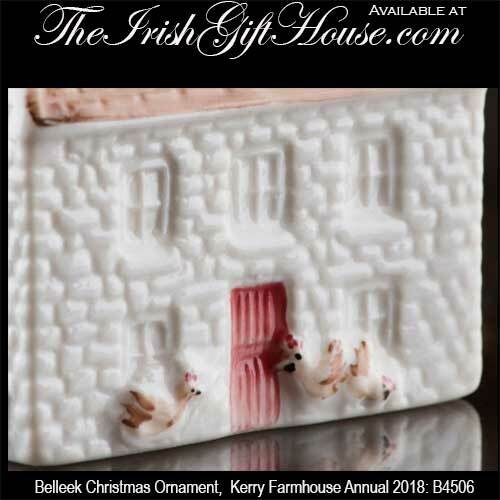 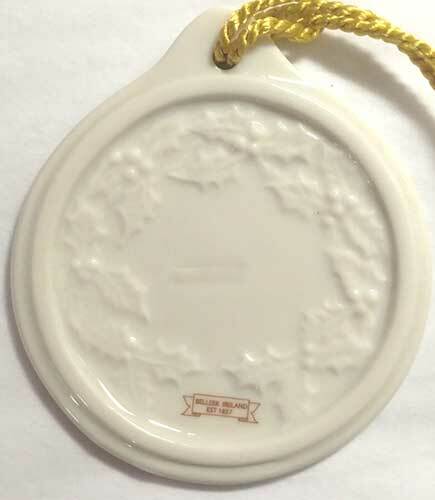 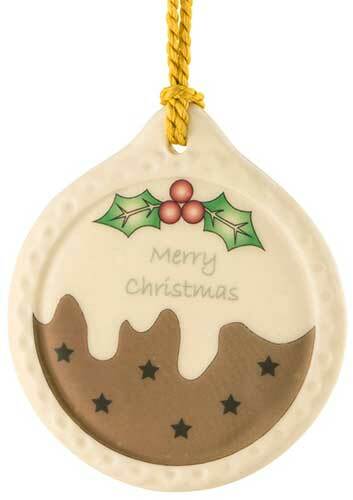 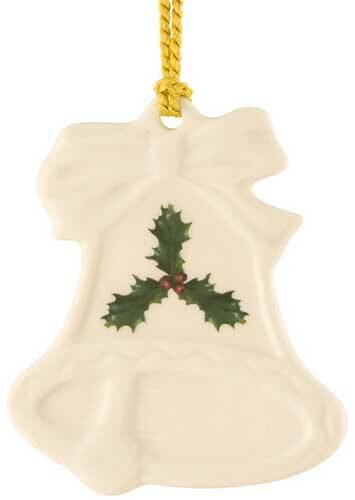 Sorry, this Belleek ornament is now sold out and retired. 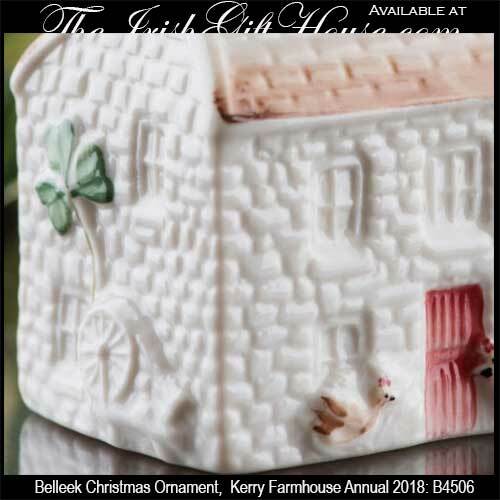 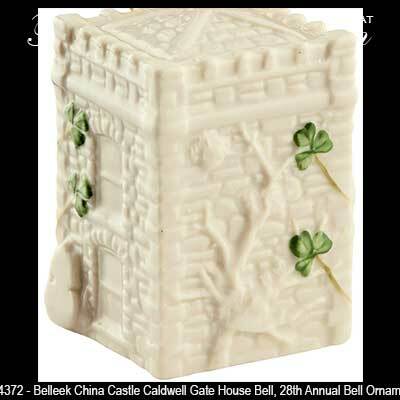 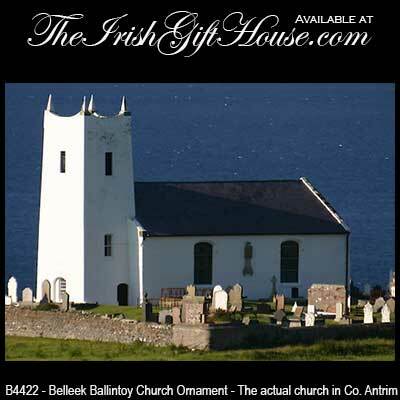 Sorry, this Belleek annual bell is now sold out.